A few years ago I started collecting silk roving with no particular project in mind. I came across a tutorial on Judy Gula’s blog here. and decided to give silk paper making a try. Well, I have a LOT of roving, so lots of photos follow. I collect materials that will likely end up in a project one day but there’s not always a plan. A lot of these materials have been waiting to come together in some way. I used silk roving, art yarn, Angelina fibers, Japanese metallic threads, paper, sequins, silk carrier rods, hat veils and glitter. The “paper” is somewhat stiff, but is flexible like fiber. Some are more paper like but most feel like soft textiles. 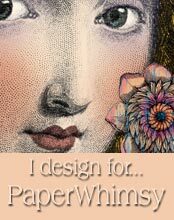 Originally I thought of them as paper that would later be embellished with embroidery and other collage elements. As I made more they became collages in and of themselves. You made it to the end! Here’s a bonus. This is a LINK to a lovely Etsy shop where you can find Art Yarn Fiber Bundles. Here’s a LINK to the silk roving section of Judy Gula’s website. Categories: Blog | Tags: angelina, art yarn, artistic artifacts, collage, fibers, glitter, hat veiling, Judy Gula, Mixed Media, sequins, silk paper, silk paper tuturial, silk roving | Permalink.